« “Forgotten Hollywood”- Who are the Brick People? Congressional Republicans are taking in a movie. They are getting a lesson in art of compromise by watching Steven Spielberg’s Lincoln. 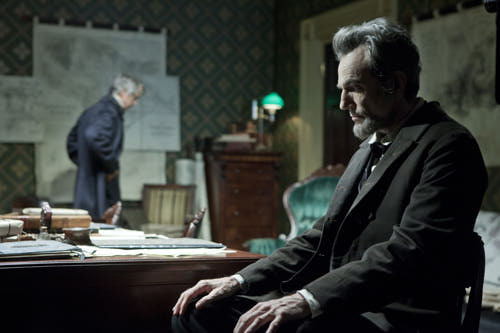 In the latest epic motion picture, President Abraham Lincoln (played by Daniel Day Lewis) and Secretary of State William H. Seward (played by David Strathairn) conspire to create a plan to encourage the House of Representatives to pass the 13th Amendment to end slavery. To understand the premise of compromise during 19th Century politics, please examine the 1860 Republican convention, which pitted the nationally revered Seward against a dark horse Lincoln. After the GOP made a stunning selection, they were assured of winning the election, since the Democratic Party was fractured, with candidates from the North and South. Just as President Obama selected his primary opponent, Hillary Clinton, as his new Secretary of State, Lincoln turned to Seward and offered him the esteemed position. 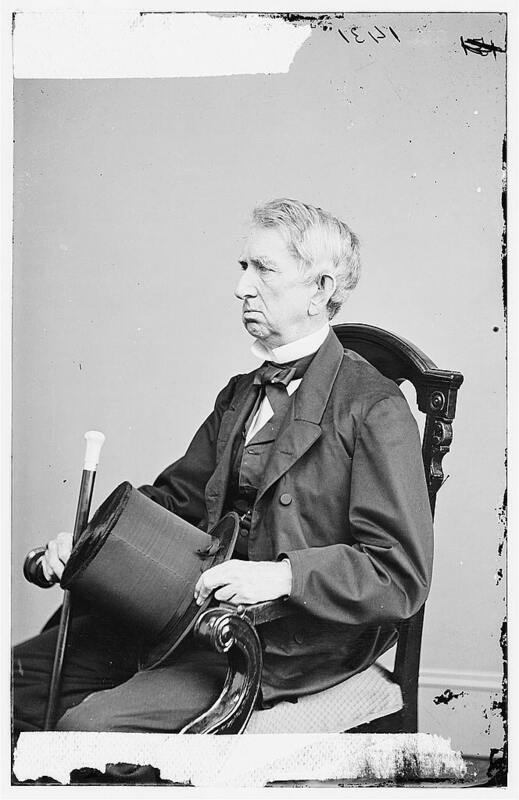 He accepted with the caveat that if Seward disagreed with the president, his point of view would be considered. Based on Doris Kearns Goodwin’s book, Team of Rivals, the film documents the effort by Lincoln and Seward to pass the 13th Amendment. They resort to patronage, bribery, patriotic rhetoric, and the nuanced (if gritty) art of politics, so the 16th President’s legacy would be assured as he approached his second term of office. While I don’t suggest today’s congress vote to end the so-called Fiscal Cliff based on the seedy promises of insider jobs, pork barrel spending, money, and/or infuence; this cinematic effort celebrates our Founding Fathers design that our government works best through compromise, and the noble concept of – We the People… as a collective and representative effort to tackle and solve this nation’s ills. 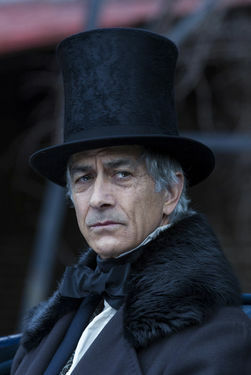 May I also endorse, here and now, a David Strathairn nomination for a Best Supporting Actor Oscar in his role as Secretary of State William Seward. His distinguished career now includes a most appropriate feather in his proverbial cap. I hope the voting members of the Academy of Motion Picture Arts and Sciences are listening. Of course, I’m willing to compromise and lend my support to Tommy Lee Jones for his performance as Senator Thaddeus Stevens. 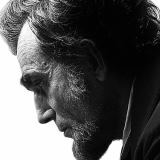 It’s little wonder Steven Spielberg decided to withhold the release of Lincoln until after the results of the 2012 presidential election. This entry was posted on Thursday, November 29th, 2012 at 12:11 am	and is filed under Blog by Manny Pacheco. You can follow any comments to this post through the RSS 2.0 feed. Responses are currently closed, but you can trackback from your own site.